The intent of the Cambodia Agriculture Initiative is to increase income and reduce poverty among Stieng ethnic minority farmers in Snoul. 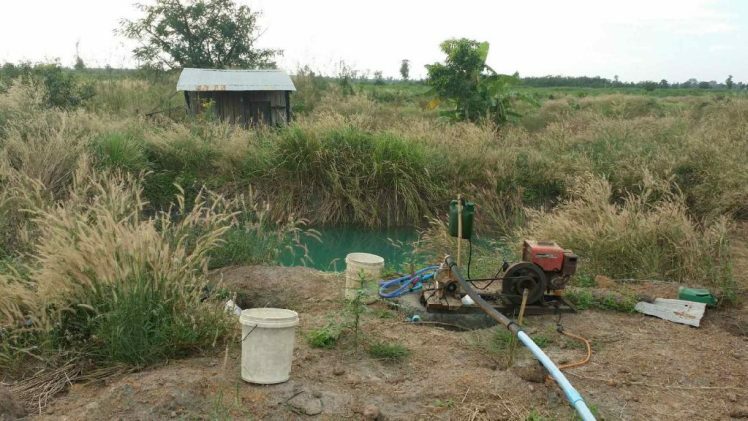 The project’s goal is to provide interest-free loans for farmers to purchase items such as seeds, fertilizers, farming tools, or water pumps and pipes to bring water from nearby creeks. The initiative is working in partnership with an NGO called We Love Kids (WLK) and a local group of dedicated farmers to create loan agreements and guidelines. This “Farmers’ Network” was initiated by local farmers who are committed to sharing their knowledge and experience with each other. The Cambodia Agriculture Initiative’s role is to provide funds to assist the group in implementing their idea of a saving and lending circle. Snoul is situated near the Eastern border of Cambodia and Vietnam. It is approximately a nine hour bus ride from the capital Phnom Pehn. The Stieng people in Snoul are an indigenous group marginalized culturally, socially and geographically. The biggest industry in Snoul is rubber plantations and there are very few options for employment, unless one is lucky enough to work in such a plantation. Often young men will consider leaving their young families and elderly parents for job opportunities in big cities like Phnom Pehn. The vision and hope of the farmers network is to create job opportunities for themselves and their respective communities, allowing men to stay with their families.